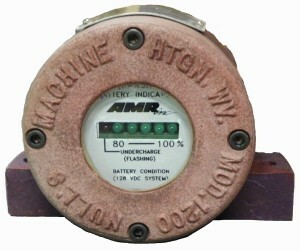 BI-850 Explosion Proof Battery Indicator | AMR, Inc. BI-850 Explosion Proof Battery Indicator | AMR, Inc. 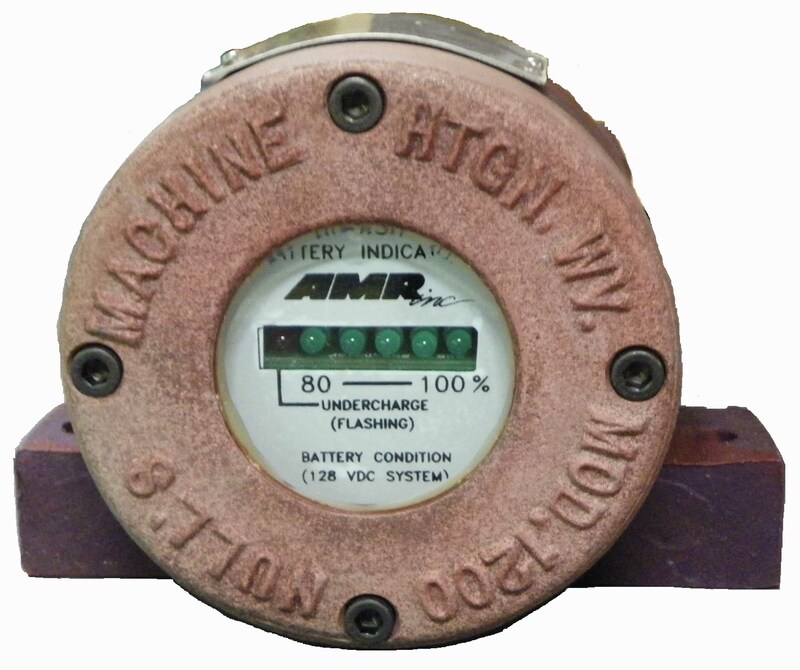 The AMR BI-850, Explosion Proof Battery Indicator keeps watch on your expensive machine batteries. With our new “High Tech” design, the BI-850 will extend the life of your machine’s batteries, and reduce production downtime due to failing equipment. It is housed in a rugged XP enclosure, and is intended for machine mount. Smooth indication – Not just a voltage meter. Easy to install: Mount the weld plate and connect the two wires. Red LED begins to flash less than 80% capacity.